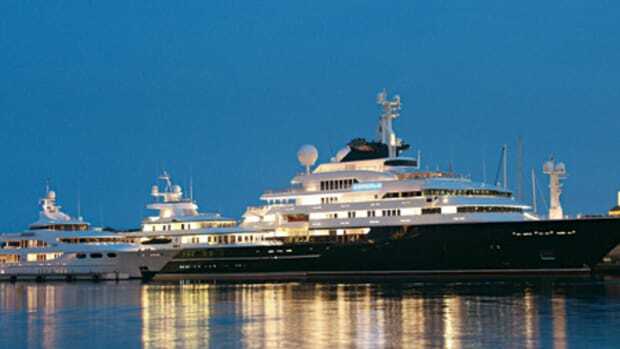 In December 2005, Blohm + Voss announced the signing of a contract for this yacht, referred to by the code name above. 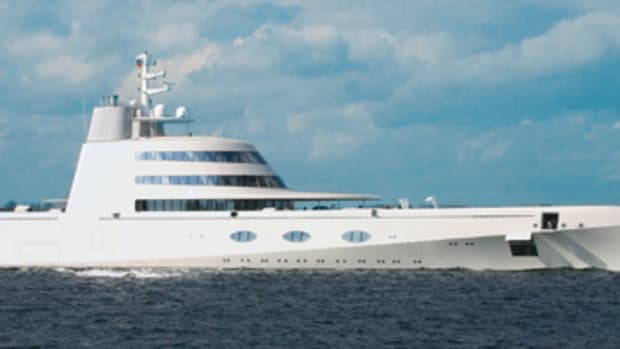 While the yard wouldn&apos;t reveal much other than that Philippe Starck would be her designer, it did mention that the project manager would be Blue Ocean Yacht Management, the same company that was overseeing the refit of Pelorus (no. 9), going on at the yard at that time. 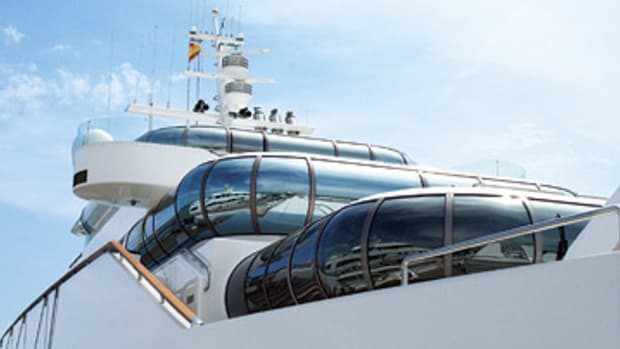 Even though the same press release further stated that Pelorus belonged to a different owner, that didn’t keep insiders from asserting that Project Sigma was indeed the latest floating palace of Pelorus&apos; owner, Roman Abramovich. Truth or tall tale? Stay tuned.